Jessica Bills — Nuts are a healthy alternative for students looking for a quick snack. Looking for a snack low in calories but appealing to the taste buds? The answer to your problem is found in the legume family. Nuts like almonds, cashews, pecans and walnuts are nutritious and delicious snacks that benefit your health more than unhealthy sugary snacks that result in an energy crash. “The best way to begin adding nuts to your diet is to replace poor quality snacks like chips or cookies with a serving of nuts so that you are not simply adding on the extra calories on top of what you already consume,” Jan Kodat, professor of kinesiology, said. 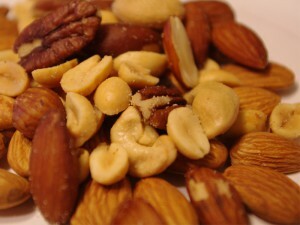 In the livestrong.com article, “Mixed Nuts & Health” by nutrition consultant and running coach Natalie Stein, when eaten regularly, people who eat nuts tend to have a lower body weight than those who don’t. “Just like with other types of foods, including vegetables, legumes and fruit, it is best to include a variety of nuts in your diet so that you are able to benefit from the variety of nutrients they offer,” Kodat said. 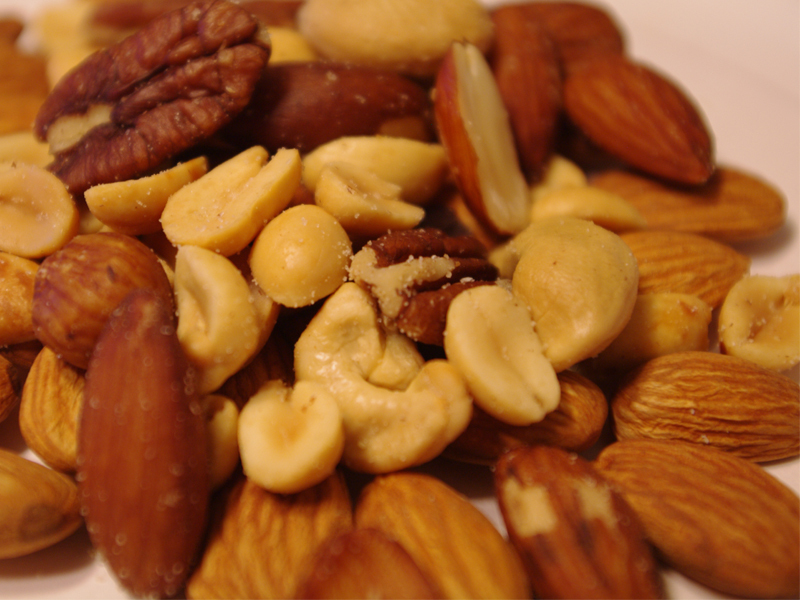 Nuts are rich in fiber, unsaturated fat, calories, zinc and omega-3 fatty acids. They are also high in magnesium, low in sodium and carbohydrates. With these qualities, this simple snack provides many health benefits, as it is good for the heart and lowers cholesterol. “Many research studies have shown that adding nuts to your diet can protect against heart disease because they provide healthy fat in the form of monounsaturated and polyunsaturated fats, fiber, protein, phytochemicals (antioxidants) and other valuable nutrients in particular Vitamin E,” Kodat said. improves the health of artery lining. Though there are many types of nuts that come in various flavors like barbecue, ranch, honey, spiced and jalapeño, they are not all considered healthy. “All the added flavors, sugar and salt, only add more kcals and no additional nutrients so that should be avoided,” Kodat said. The question arises in how much one should consume; as with everything, moderation is key. Stein states that one may be able lower cardiovascular disease risks by eating 1.5 oz nuts per day. However, Mayo Clinic notes evidence for the heart-healthy benefits of nuts is not entirely solid; the Food and Drug Administration only allows food companies to say evidence “suggests but does not prove” that eating nuts reduces heart disease risk. Whether you love almonds or cashews, there are a variety of companies like Planters or Emerald that have healthy options of this quick and simple snack.